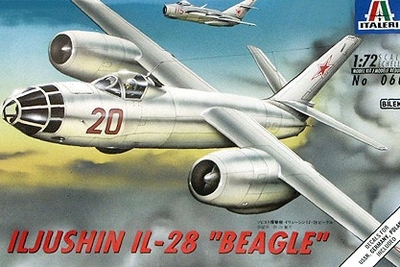 The Ilyushin Il-28, NATO code name " Beagle" was one of the first jet bombers of the Soviet Union developed in the 1950s. 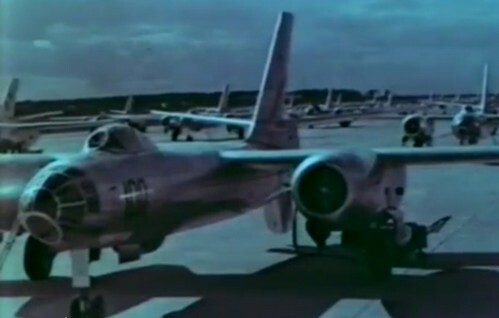 It has a typical "old fashioned" look with high shoulder straight wing and two jet engines in pods under the wing. 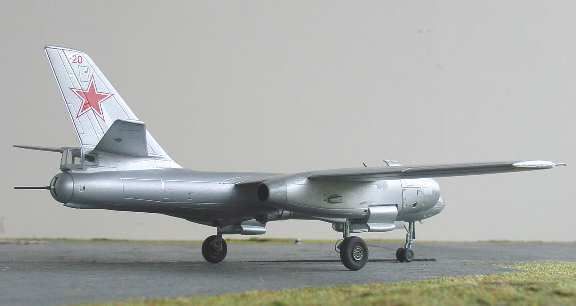 Several 1/72 kits were released, the Airfix kit of way back the 1960s being the first one. It was inaccurate to current standards. It's biggest error being the shape of the nacelles. The best kit in 1/72 is of Italeri, No. 060, issued in 1995. I suspect it a Bilek mould. It has a lot of fine details and can be build rather straight from the box. (later, Trumpeter also released their Harbin H-5 kit...). 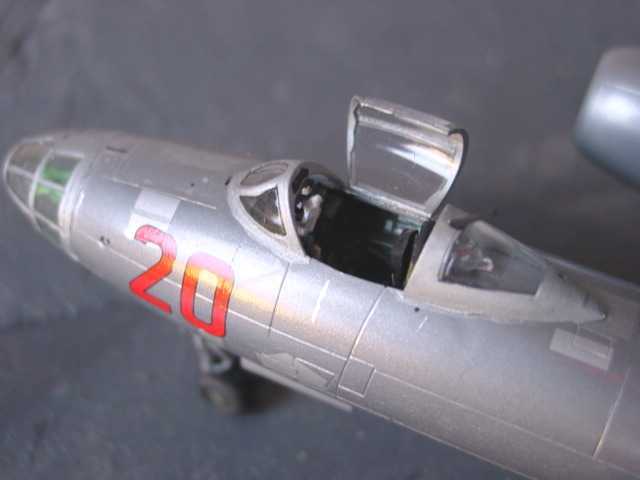 The Italeri kit has a bomb bay, but it's doors don't fit very well. When closed, you will have to use putty. The same applies to the entry hatch at the rear, part no. 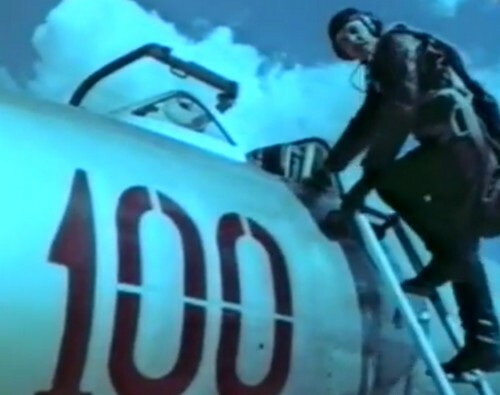 36A and the upper hatch Part no. 37A. The model was made straight out of the box. 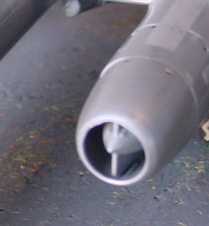 Take care as to distinguish between the left/right nacelle parts and putty is needed here to smooth out the parts. Make a wing spar for strength through the fuselage, its contact area being rather small for glue only. I also added a nose undercarriage bay with "side walls". You also have to make a hole in the ceiling part no. 47A as the nose leg won't fit otherwise. The doors are a bit to thick and add further details to the u.c. legs. 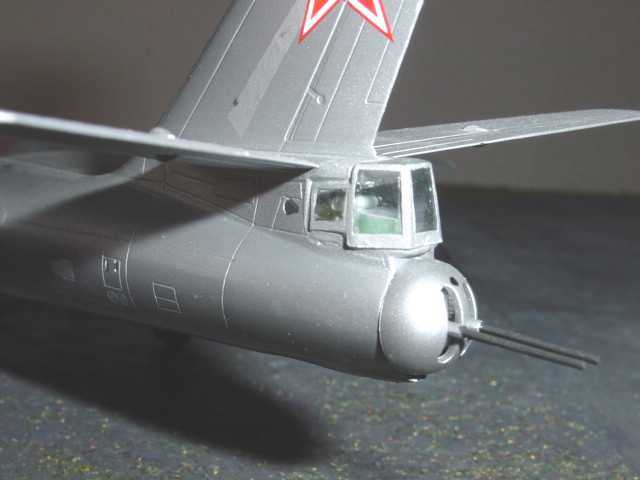 Nice touches of this kit are the JATO bottles and the wing tanks. I also liked the decals, several versions being provided. The model was polished all over as to remove all scratches. 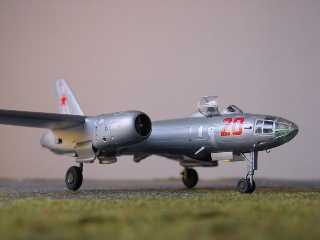 A metall finish with Testor's metalizer was choosen, and aircraft being depicted on the USSR AF, Red "20". dramatic front view, note the height! 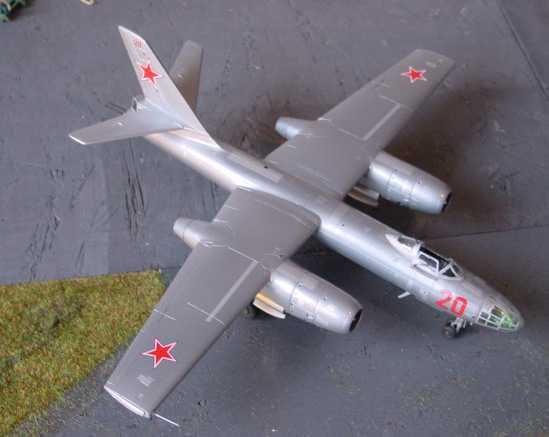 Finished as typical medium Bomber aircraft in the USSR, Red "20" .